The Internet is full of sweepstakes. You can actually win a lot of money with cash sweepstakes or some nice prizes if you enter the right sweepstakes. How can you increase your chances of winning online sweepstakes? Many companies are sponsoring online sweepstakes through website or Facebook page. This is online marketing at is best. Note that sweepstakes are strictly “No Purchase Necessary“. Now, how to win more sweepstakes online? You will be more likely to win online sweepstakes if you enter more contests. 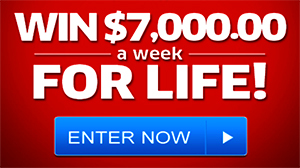 Try spending a few minutes each day looking for new sweepstakes, contests and online games. There are plenty of sites, blogs and message boards that specialize in sharing information about contests and sweepstakes. You can also subscribe to social media pages where users can share information about the contests and sweepstakes they found. Some sweepstakes give you the possibility to get more than one entry. Mathematically speaking, you will be more likely to win the contest if you have more than one entry. You can sometimes get more than one entry if you visit the site that organizes the contest on a daily basis or by inviting your friends to enter the sweepstakes. Always read the terms and conditions of the sweepstakes you enter. If there are instructions on how to enter the contests or the sweepstakes, follow them carefully so your entry counts. You need to check the terms and conditions to get an idea of what your chances of winning the contest are. If you get the impression that your chances of winning are very low, your time might be better spent entering a couple of sweepstakes with better odds instead of filling out a long application for a contest where your odds are not very good. Keep entering online sweepstakes and you will end up winning one. Always be on the lookout for new sweepstakes or online contests, never pass no an opportunity to get additional entries and focus on sweepstakes with quality prizes and good odds. Good Luck! For me I well fix my house first. Take my three kids on a road trip. Build green house.might buy a truck. Help my family. then by stock and help the old who can’t help them self because my partner she works at a nursing home have you Ben there its sad most of the time there by themselves and I don’t like that.so what do you thank. Thank you gave a good life! PCH will you enter # ********** for the chance to win a$3M Dream Home.